Elliot Handler, the co-founder of Mattel toys and the inventor of Hot Wheels died this week at the age of 95. 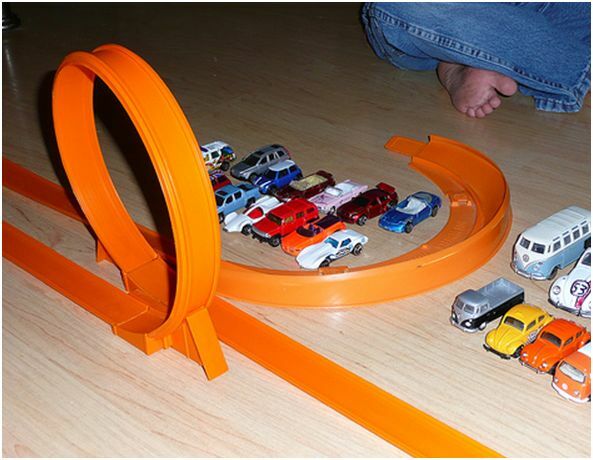 Handler personally came up with the line of mini toy cars called “Hot Wheels” in 1968. Meanhile, Handler’s Handler’s wife, Ruth, invented the “Barbie” doll. Barbie is actually named after Handler’s daughter, Barbara. Handler and his wife were the first living inductees into the Toy Hall of Fame. A group of sociologists is furious because discount store Wal-Mart has dropped the price of their “Black Barbie” dolls. A spokeswoman from the Northside Center for Child Development in Harlem says that Wal-Mart’s cutting the price of Black Barbie to just $3.00, while leaving her white counterpart doll at $5.93, “sends the wrong message about Blackness” and “devalues” minorities. Wal-Mart says the only color involved is green. The price of Black Barbie was cut because she wasn’t selling well. This is not a joke or some offensive racial parody. Mattel has announced a new version of the iconic doll Barbie. “Burkha Barbie” is featured wearing traditional Islamic dress.